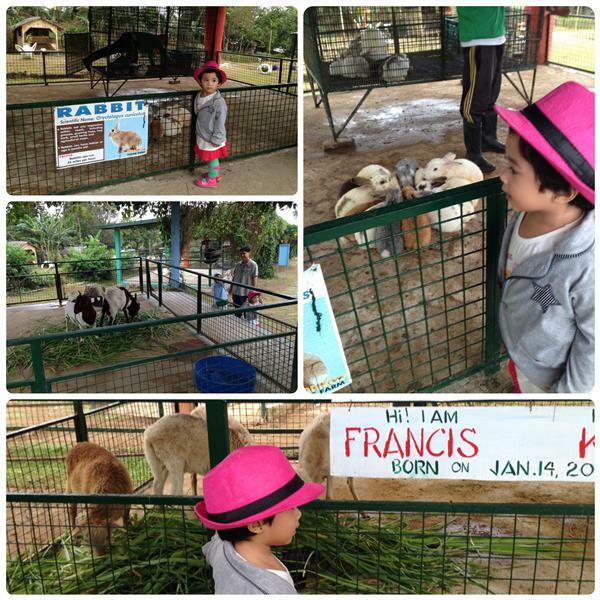 Have you visited Paradizoo in Mendez Cavite? My family spent a refreshing Paradizoo Family Tour. 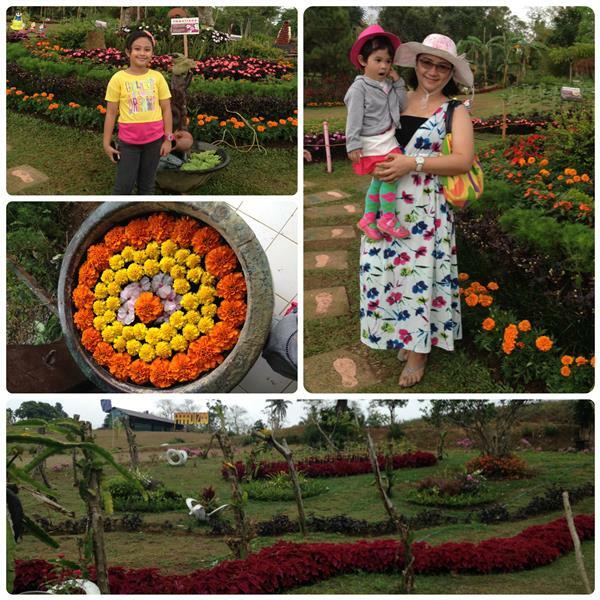 Do you remember my post “Discover the Festive Bloom of Agriculture at Paradizoo“? We were not able to experience the Power of Three event but were so happy to visit a beautiful place surrounded by greenery that is also taking care of some zoo animals. The moment that we entered Paradizoo,my kids run to the playground. We arrived early at around 9AM and I think we are the first guests during that time. At the playground, there is an hourly charge. Because we are too early and the playground is not yet cleaned from fallen leaves and some play areas are wet, they didn’t charge us. 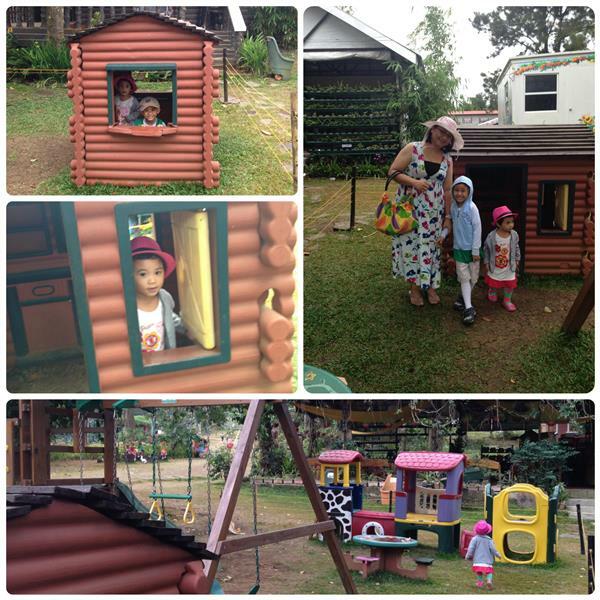 After the active play at the playground, we took the Paradizoo tour with the kids. We saw rabbits, goats, horses, cow, pig – mostly there are many farm animals. We also saw Ostrich and Camel. The trail is so easy to follow. During that time the weather is cloudy and the soil was a little moist due to drizzle. Next stopped: Flower garden. Our eyes were pleasured as we saw different kinds of pretty flowers with lovely flower arrangements. There are also Bonsai plants and you can buy them from Paradizoo. While going to other areas of Paradizoo, we climbed a hill and walked down the slope. 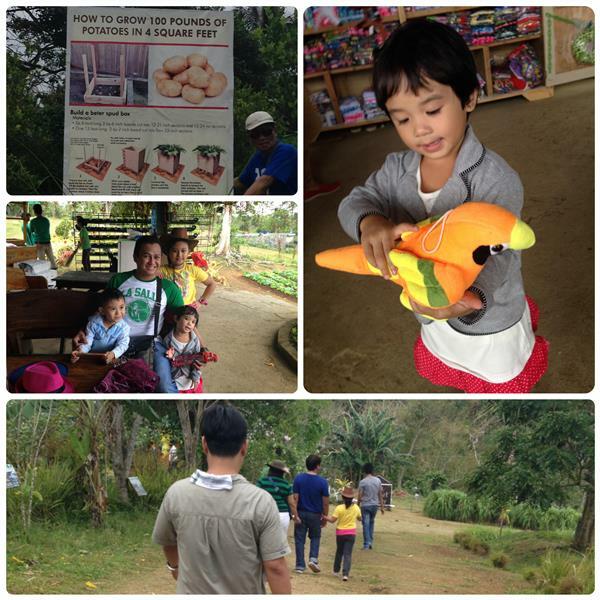 The highest point that we’ve been is the vegetable farm. We stayed a little while drink water, bought some souvenirs, and just enjoyed the greenery. 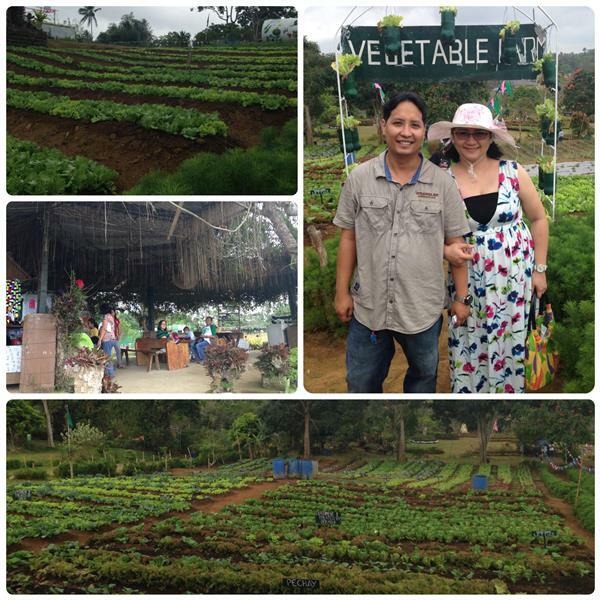 Lots of veggies at the vegetable field! 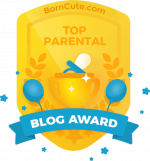 I am so glad that my parents go with us most especially my dad who is already more than 70 years of age. He enjoyed! Imagine he walked and climbed the hill with us. Going down the slope was the easiest way as we reached the Butterfly garden and the honey house. 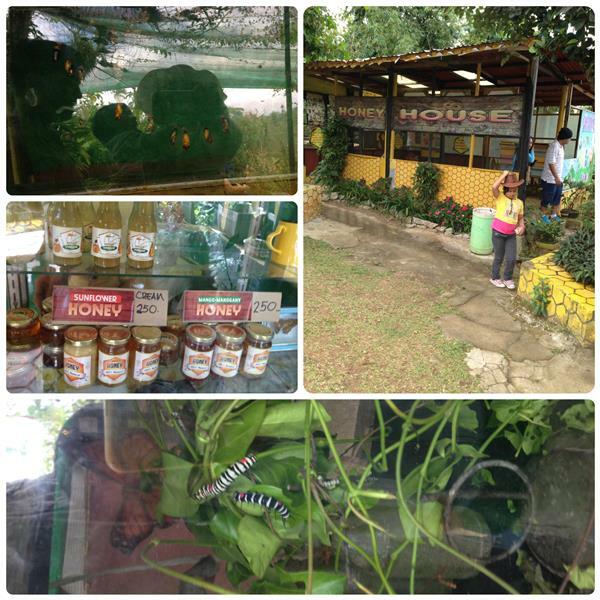 At the honey house, we bought honey bee in a bottle and their Honey Bee vinegar. 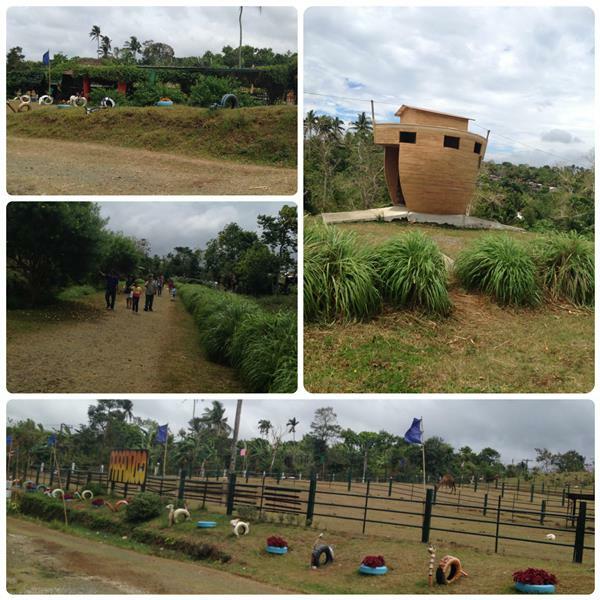 We passed by the Animal Cemetery and Noah’s ark. I think that they are going to improve this area because this part is not yet fully developed. Paradizoo has an open-air restaurant where you can order some refreshments, snacks, and food. We missed the picnic area, greenhouse and the herbs and spices area. Paradizoo is worth-visiting and I would suggest that before you go there, make sure to bring umbrella, hats, and best if you will be having family picnic. Also, to fully enjoy the tour, plan a one full day visit because half day is not enough. 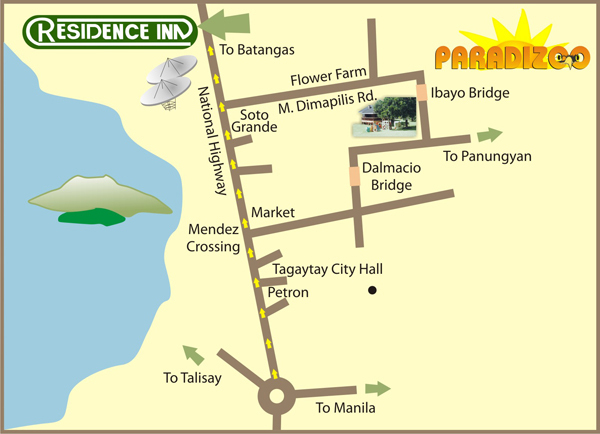 Paradizoo is located at Mendez, Cavite. Their sign boards are visible along the roads that is why I think it is easy to find. Below is Paradizoo map on how to get there. Their place is not along the highway so it is better to take your private vehicle in going there. Paradizoo is ideal for picnics, educational field trips, outdoor and group outing programs. It is a fascinating paradise that showcases the beauty of flora and fauna. 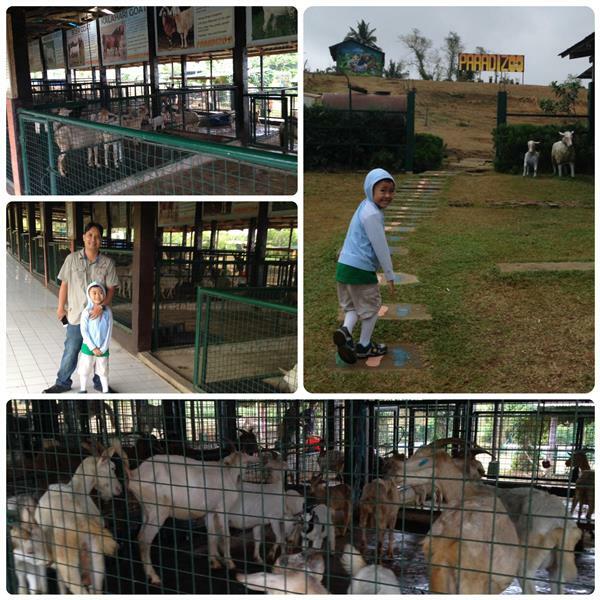 Have a taste of this magnificent theme farm with its latest attractions. 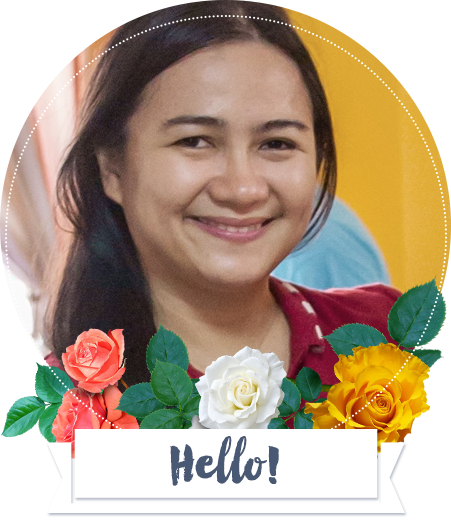 Please visit www.zoomanity.com.ph for more details or call them at telephone numbers 8999828 or 08.